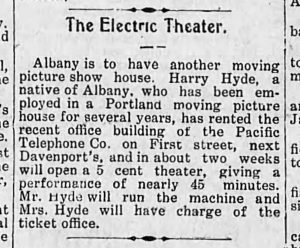 Programming notes: The Electric was a 5 cent theater ($1.25 in 2018). 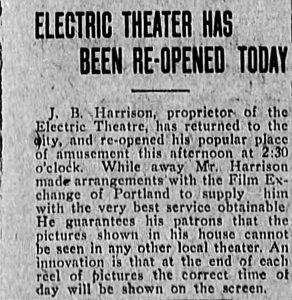 Promotional strategies notes: A promise that the moving pictures the audience receives will be unavailable at any other local theater. They also offered cash prizes to a select few people in the audience. 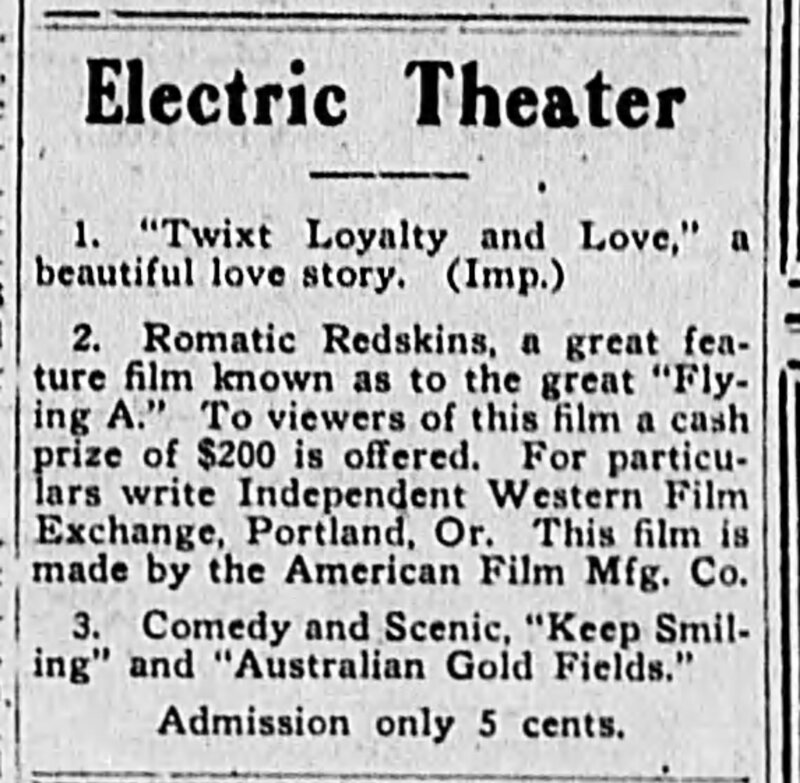 For example, during a showing of a new film they were advertising a cash prize of 200 dollars to a lucky audience member. Albany Evening Harold. Saturday, February 4, 1911. 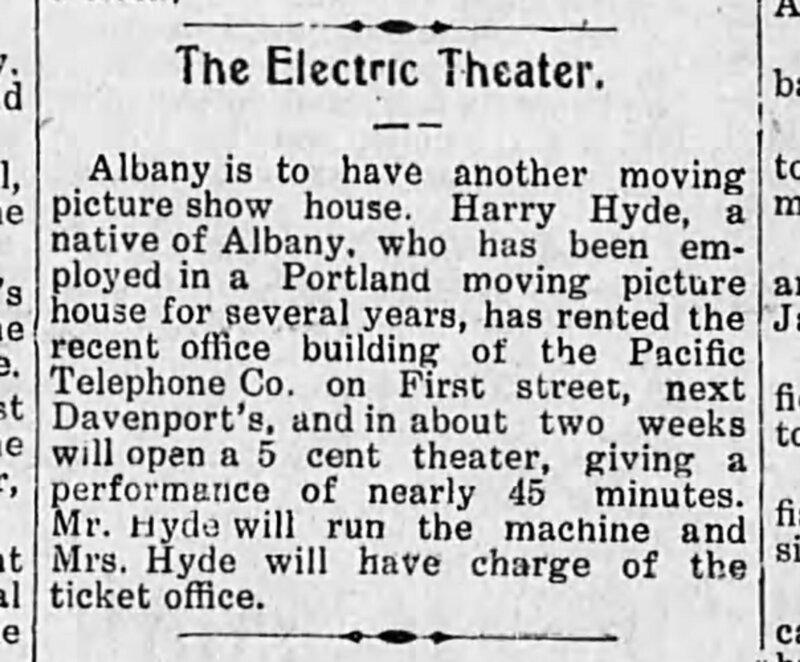 This clip is an example of a program for the Electric Theatre. For this particular program, there was a showing of a love story, a Western film, and a comedy/scenic film. This clip also states that a cash prize of $200 would be given to an audience member, which was something they advertised often. It also states the admission price which was 5 cents. Albany Democrat. 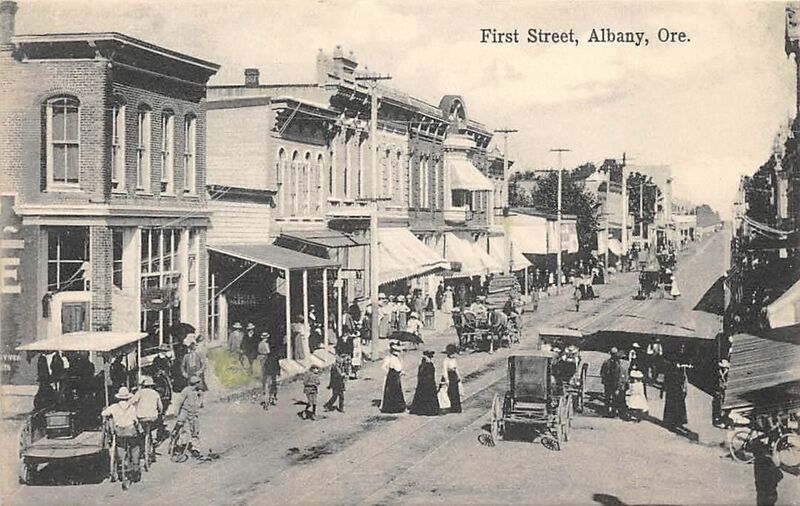 Friday, March 2, 1910. Albany Evening Herald. 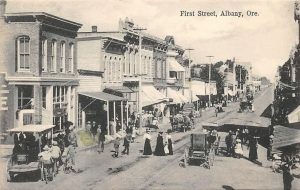 Friday, February 3, 1911. 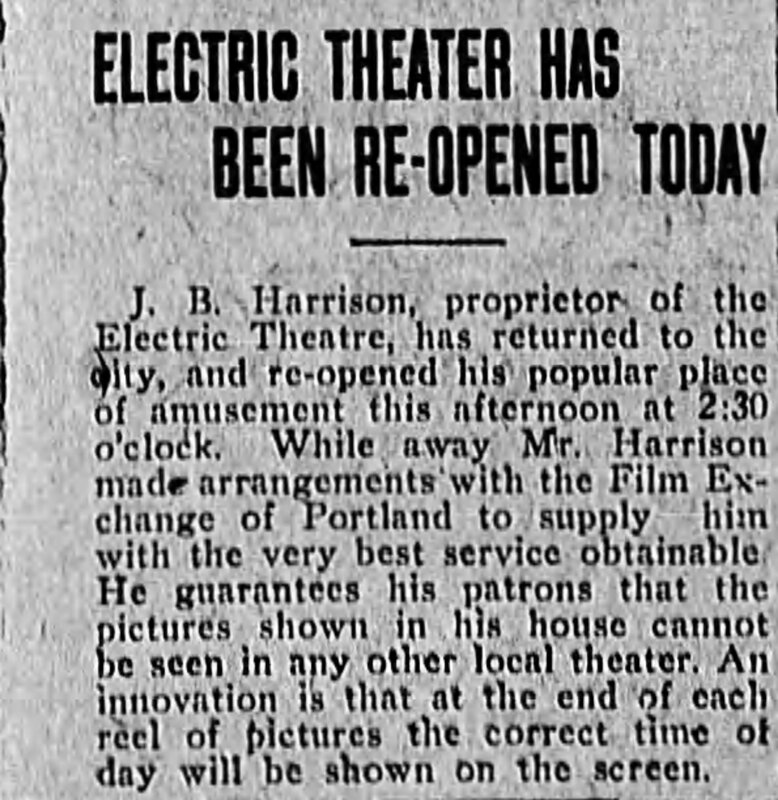 The Electric Theatre closed for a short amount of time while J.B. Harrison was out of town on a business arrangement; the theater opened back up shortly after he returned. 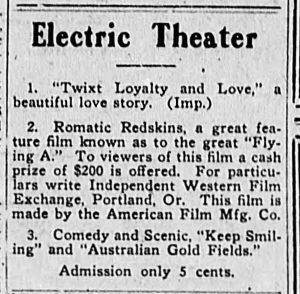 The clipping expresses that he made arrangements to supply his audiences with the best moving pictures possible. Albany Evening Herald. Monday, February 6, 1911. 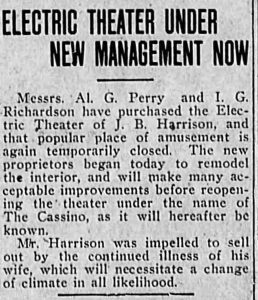 Mr Harrison became ill and was forced to sell his theatre. 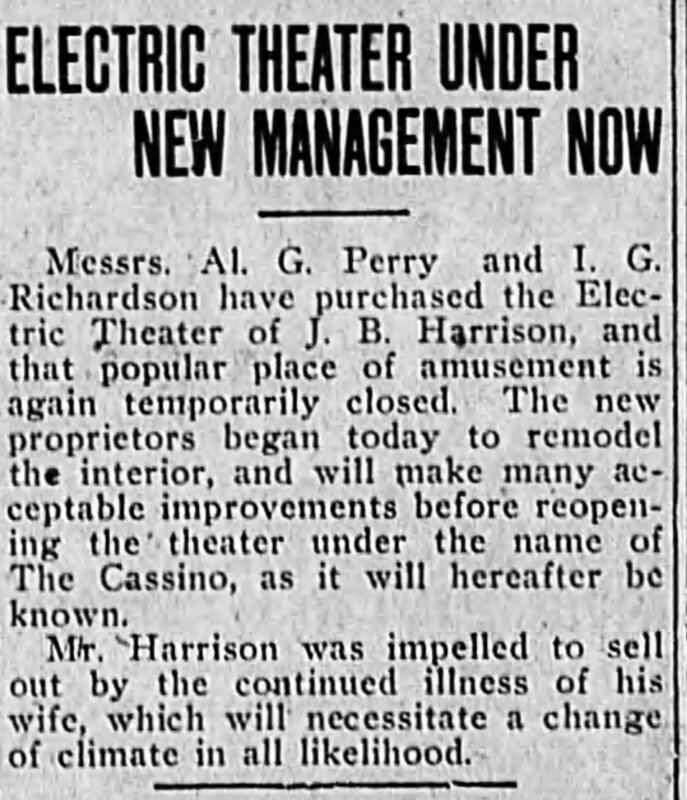 The clip states that the theatre would have a slight remodel and be reopened under the name of The Cassino.